A world where everyone has equal access to quality healthcare, where poverty is not a hindrance to medical education, and where the public constantly supports charitable, educational, social welfare, and health research programs. Provide funding for medical research that seek to understand and address illnesses prevalent in the country. Our work carries on the long tradition of St. Luke’s Medical Center in caring for the poor. Unknown to many, St Luke’s started in 1903 as a small clinic in Tondo, Manila providing free medical services to indigent people in the community. 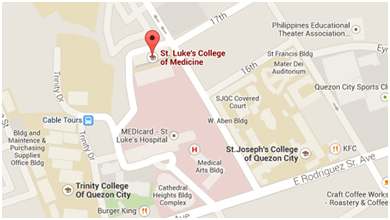 St. Luke’s Medical Center is a non-stock, non-profit and non-sectarian medical institution. Although it has become one of the largest private hospitals in the country, it has stayed close to its roots. Over the years, it has silently continued this mission of providing the poor access to private medical care. It has also expanded this mission to include medical scholarships, continuing medical education support, and research funding. The St. Luke’s Medical Center Foundation, Inc. was established to enable more people to benefit from this. Our Board of Trustees is composed of respected business, religious and social figures in the country. The Trustees work hard to ensure that the Foundation fulfills the functions it was conceived for. They craft policies designed to efficiently manage the Foundation and perform oversight duties to safeguard the utilization of donations. Fundraising is also an integral part of their responsibilities in order to secure the sustainability of our programs over the long term. A group of dedicated administrators and volunteers assist the Board in running the Foundation's programs and projects and ensure that the policies put forth by the Board are properly carried out. The Medical Social Services Department of St. Luke's Medical Center; the St. Luke’s College of Medicine- William H. Quasha Memorial and SLMC and external groups. Volunteers who devote their time and effort to provide services to the Foundation at no cost to us, ensuring that our operations continue despite the lean roster of full time staff.